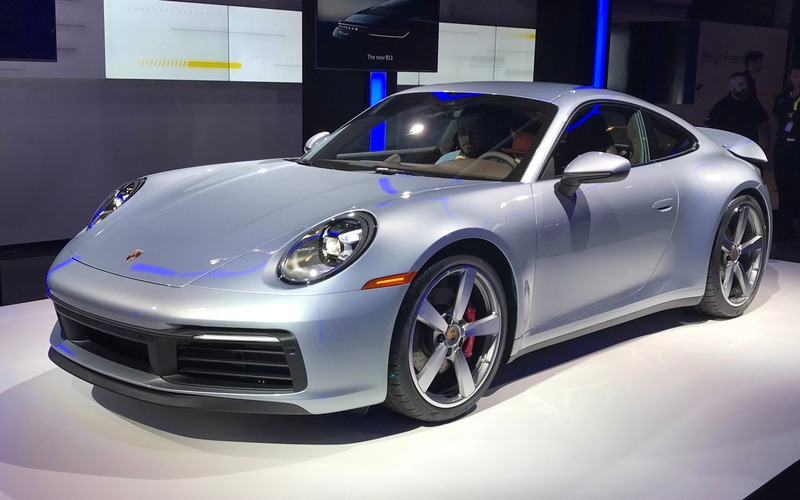 Porsche’s decision to unveil the eighth generation of its flagship model as a prelude to the Los Angeles Auto Show was no accident. Not only have the 911 and California been inextricably linked for over half a century, but this state alone is one of the vehicle’s most important markets. The previous series, which launched in 2012 as the 991, was the most popular in the vehicle’s history, with 217,930 units built—including the millionth 911. The 911’s legendary profile has been preserved, of course, but with the requisite tweaks to make room for the new 992 version’s technical modifications. The front end is 45 mm wider and the front track width has also been augmented to sharpen handling and stability. The wheel wells are also bigger to accommodate the 20- and 21-inch rims. For the same reasons, the body of the Carrera S and Carrera 4S is now as wide as the previous Carrera 4 and GTS versions. The most obvious visual change is the thin taillights which now span the entire width of the vehicle. The retractable rear spoiler is also surprisingly big at first glance. In front, the LED headlights are new and the redesigned hood is a nod to the first incarnations of the 911. One thing is certain: all these changes have been added with great care. The new 992 is absolutely gorgeous, with attractive curves and true-to-tradition sculpting that nonetheless create a flawlessly modern look. Under the rear hood of the Carrera S and Carrera4 S versions (once again the first ones available), the 3.0-litre flat six-cylinder twin-turbo now generates 444 horsepower for an increase of nearly 30 horsepower. It comes with an eight-speed twin-clutch PDK gearbox. While its size hasn’t changed, there’s more room around it to fit electric motors and necessary hardware for a future hybrid version. Porsche is promising a 0-100 km/h time of under four seconds—3.7 for the rear-wheel-drive coupe and 3.6 for the all-wheel-drive Carrera 4S. That’s 0.4 second faster for both, and although the 992 has increased in size, the 50-kg weight gain was eliminated by using more aluminum for the shell. The body is made entirely of aluminum, with the exception of the front and rear shields. The most notable change is the fully revamped cockpit and dashboard, whose horizontal lines were inspired by those of the first generations. There’s a bigger central screen that now measures 10.9 inches and a central console that is almost completely free of buttons. Right in front of the driver are the traditional five big gauges in the centre of which is a huge analog rev counter. 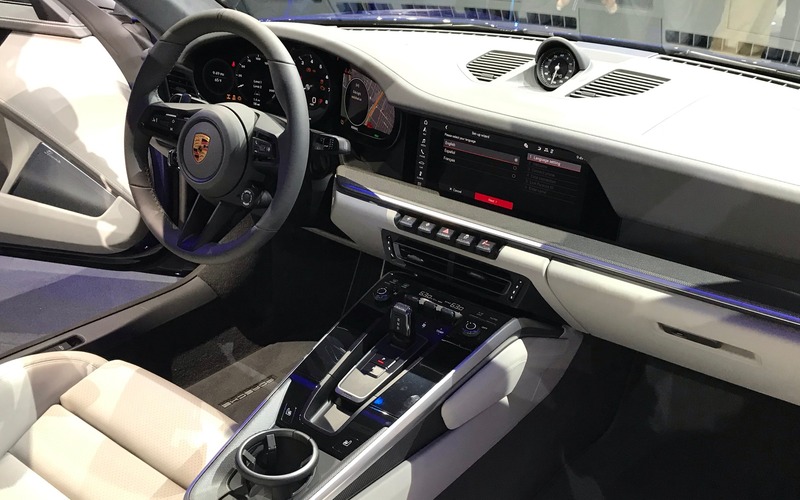 Of course, the new 911 features the most advanced and unique electronic systems. For example, Wet mode warns the drive if water is detected on the road. He or she can then select the best driving mode for the conditions. Another example is the Night Vision system. Porsche was tight-lipped about updates to the suspension and running gears, but make no mistake about it: there were indeed some changes made. The great American driver Hurley Haywood, who is one of the brand’s ambassadors, told us that we could expect the same degree of improvement as we saw with the previous generation. Apparently, the Weissach-based engineers updated the front suspension and, most importantly, fine-tuned the geometry. This black magic is still the secret of exceptional handling. Now it’s just a matter of putting it to the test. You can already order one—or several—of the new 2020 911, with delivery promised for fall 2019. The 911 Carrera S starts at $129,000 while the Carrera 4S starts at $137,400. Many other versions and variants will follow over the months and years. Long live the 911, it would seem.